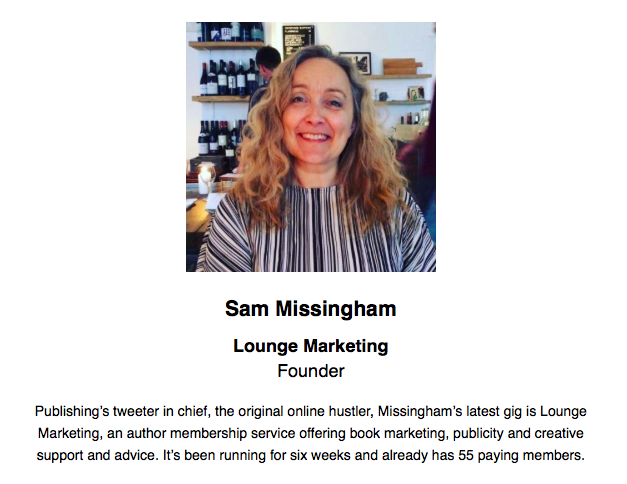 .... and I set up the Lounge Marketing to empower authors, specifically to market and sell more books. It is an extremely exciting time for authors, full of opportunities. Many authors have become CEOs of their own writing careers, managing every element of the business of writing and publishing and have seen huge success. There are more options and routes to being published than ever before. Social media has enabled authors to connect with readers, booksellers, librarians, agents and bloggers directly. Free tools, platforms and services abound. I've been working in publishing for nearly 10 years - at HarperCollins as Head of Audience Development until 2017 and before that at The Bookseller as Head of Events & Marketing. I have worked with many wonderful people across the industry and am often described as the best connected person in publishing. Many colleagues, partners and authors have said some very kind things about working with me. I enjoy being at the heart of the industry and have met and worked with the most wonderful people from all areas of the business. I am very committed to driving the industry forward with new ideas, big thinking and by embracing innovation. I speak and chair lots of industry events and lecture on publishing courses in various universities. I particularly enjoy supporting and mentoring young people trying to get into the industry. You can follow more of my ramblings on Twitter here. 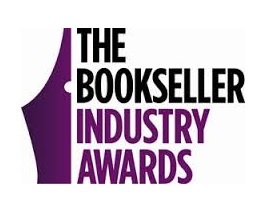 Shortlisted for Industry Awards for the best marketing campaigns of the year.